Lots of people have a piano that was Granny's, or even Great-Granny's. Thirty years ago, having obtained a better one, I gave Granny's piano to a care home in need of one. Granny's piano was a very ordinary 1920s upright piano, of the straight strung overdamper type - very much played in its time and pretty worn, but with still a little life left in it. I stopped by the care home to find out if the piano was still there, so as to take a picture for this page. It was gone. Well, you can't be sentimental about an old piano of ordinary quality at the end of its life. It didn't owe anyone anything. Being a teacher myself, I thought about Granny's life and teaching career. Coming from a family that always tended not to throw stuff out means that I can do more than think: I can share with you, some 'ephemera' - documentation from Granny's life. I never knew Granny. 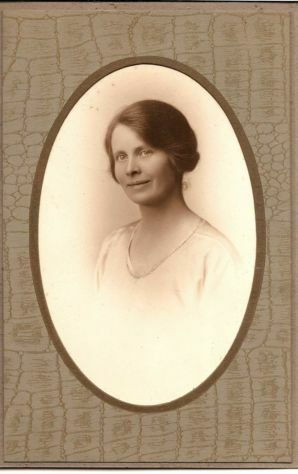 Alexandrina Noble McGregor was born in 1893 and died in 1935, leaving two children aged 9 and 7. Far too short a life. Probably she died due to heart valve damage caused by rheumatic fever in her youth. Granny trained, and practiced, as a Primary School Teacher, and I am reproducing here some documents about that. It's social history that may be of interest. For some three years, Granny attended Greenock Academy which at that time was a private school. From 1973 to 1975 I attended the same school, though in a different building, as the original building had long since been demolished, and on its site was built the College of Further and Higher Education where I taught for some 21 years. The Rector of Greenock Academy when my grandmother attended was a renowned figure in the history of the school, Alexander Gemmell. He wrote a reference for Granny in 1914 and I reproduce the envelope and the reference below. Look at the beautiful old-style letter-form of the double s of "Miss", on both the envelope and the reference! Interesting that the spelling of "showed" is the modern one rather than the older "shewed" which I thought would still be current at that time. On display (October 2012) in the John Ritblat Gallery of The British Library http://www.bl.uk/whatson/permgall/treasures/ is a 1792 notebook of Jane Austen, containing stories she wrote as a girl for the amusement of her family. On the facing page is a dedication To Miss Austen, her older sister Cassandra, with the double ss of Miss written in exactly this manner. You may care to know - or may not - that Beethoven's tuning fork is also displayed in the same gallery. It's a nice reference. Perhaps my grandmother's name being Alexandrina disposed Alexander Gemmell in her favour! That's unfair - she got the reference on merit. It amused me to think, sitting in the college office I shared with colleagues, that I was quite close to the place where Mr Gemmell had sat writing a reference for my grandmother nearly a century before. In those days the church had a significance in everyday life which perhaps today it does not. Here is the reference written for Alexandrina by the minister of Wellpark Parish church. Alexandrina ("Ina" to the family) sucessfully completed her teacher training and was certificated as a teacher. I am reproducing below, the top half of her Teaching Certificate. What is VERY interesting, is the reference to the "Scotch Education Department". Nowadays we get annoyed in Scotland when people describe something Scottish as "Scotch" rather than "Scots". We say that Scotch refers only to whisky. But here is conclusive proof of a broader usage, within the 20th century. I wish my teaching certificate had been granted by the Lords of the Committee of the Privy Council on Education in Scotland! How did you get to be a Lord of the Committee of the Privy Council, I wonder. Granny completed additional teaching certification in various add-on subjects including singing and domestic science, but I haven't reproduced those certificates here. Perhaps I will put them on at a future date. The regulation SIXTY prescribed by the code! And the class frequently exceeded this number! 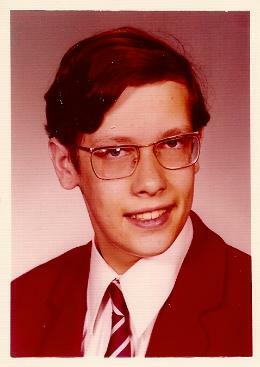 Cabinet Secretary for Education & Lifelong Learning, if you are reading this, do NOT get any ideas! Eight is a good number for a class. It is. Dig the reference to "the mining class". 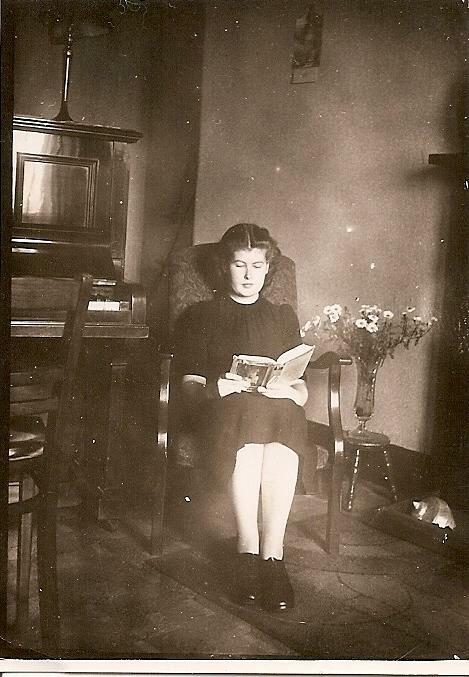 Granny bought her piano when she started her first teaching job. The man she married, Hugh Boyce, played the violin to a fine standard, and no doubt they enjoyed music-making together. So sad that Alexandrina's life ended so young. In those days, it was required that a primary schoolteacher would give up her job when she married. As a final document here, a reference written for Hugh by his retired Foreman. I have included it for the pleasure of "wrought with me", a wonderful old usage, employed here as late as 1938. An older form of the simple past tense "worked", and still occurring in the usages over-wrought and wrought iron. And we think of the UK term for a piano's tuning pins: Wrest pins (and "wrestle", of course). 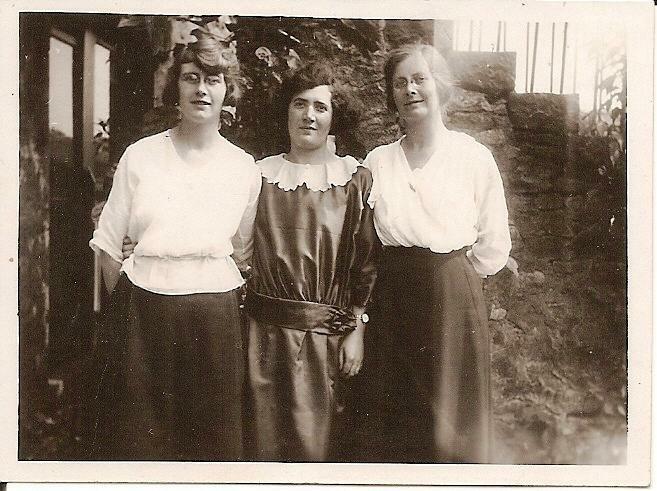 Granny, right, with on the left her sister my great-aunt Agnes whom I knew and loved, and a friend. 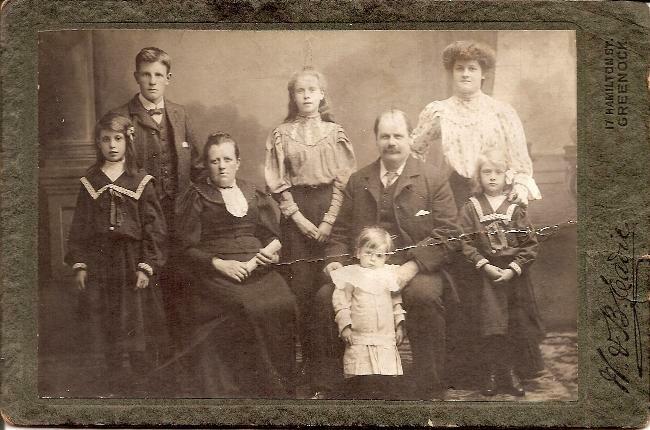 A McGregor family photo from before the First World War. Granny is the girl in the middle at the back. 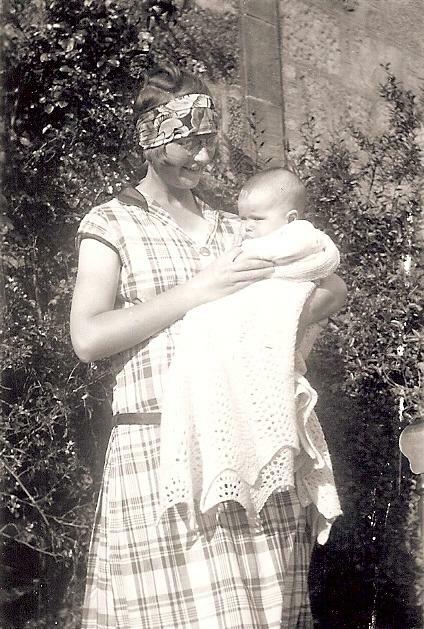 Great-granny was a seamstress, and made all the clothes in this photo with the exception of great-grandfather's suit. 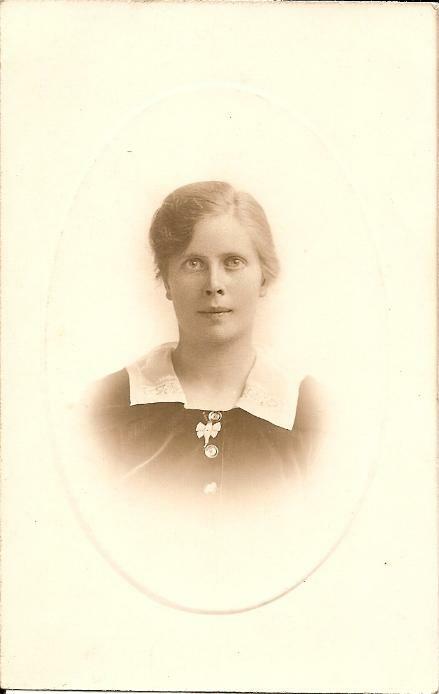 Granny as a young woman. Great-grandfather was a cooper - a barrell maker - and went out to Australia to start a new life for the family who would come out and join him. 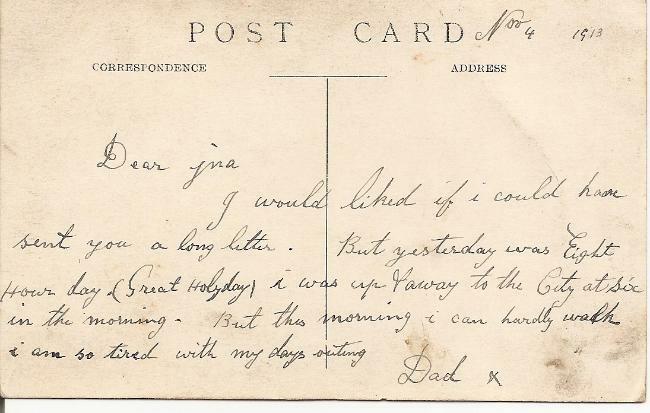 This is the front of a postcard home to his daughter, my granny. There is no postmark (see below) so it must have been included in a packet of letters and cards sent home to all the family. 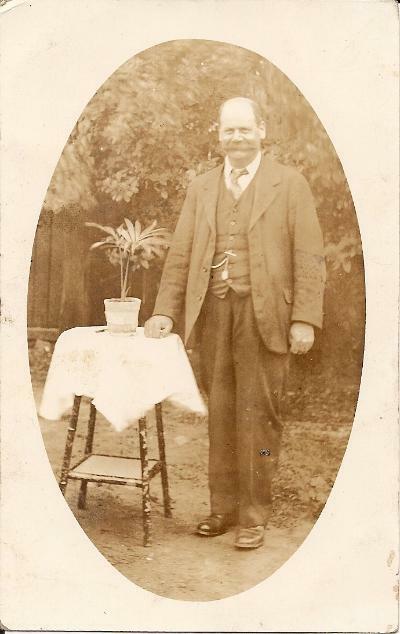 Unfortunately great-grandfather was in an accident at work, and had to spend all his money on medical treatment (not much health & safety in those days!) and return home. The plans to relocate the family to Australia came to nothing in the end. 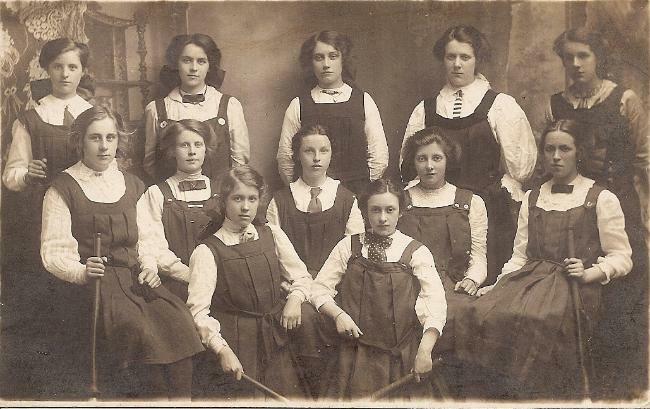 Granny's school hockey team, Greenock Academy (I think), around 1910. Granny is second from left in the middle row. The Greenock Academy school building I attended 1973-1975, in Madeira Street, became the location for filming the popular BBC 1 school drama Waterloo Road. 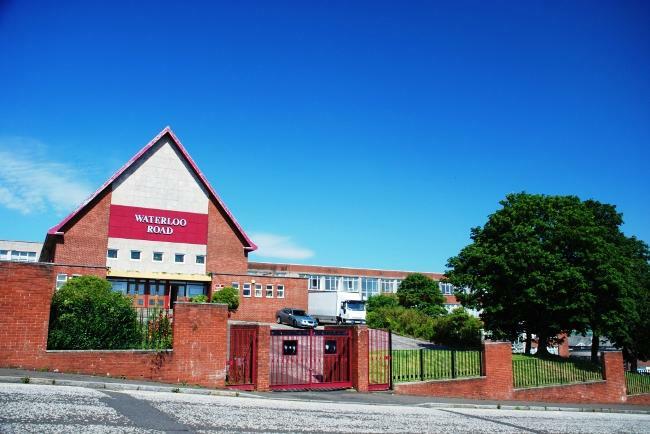 July 2015 update: This building has now been demolished, following the ending of Waterloo Road production.